Some tools you can use to manage your social media networks. ManageFlitter – Build your Twitter account with ManageFlitter – audience Management – copy followers and influencers. [0:00] Hi and welcome to episode 5 of the IT Provider Network my name is Terry Rossi and I’m here to share with you some tips and tricks that I’ve learned over the last 20 years running a software development firm and IT services firm. 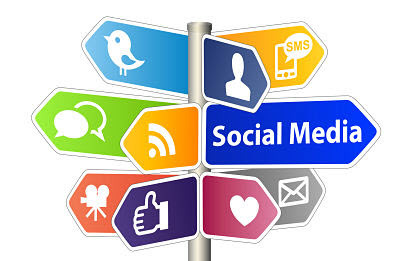 Today I want to talk about setting up your social media accounts in the footprint that you have on the internet. [0:20] Then I want to talk to you about some tools that I used to publish republish and monitor what we put out there on the social media Networks. Welcome to the it provider Network. [0:52] Get started with the actual meat of the show I wanted to share with you a story from this week. [0:58] We had actually engaged a writer to help us with some customer testimonials and case studies. This particular person work for a large. 250 million or so software development firm and recently they went through a round of layoffs and she got laid off her sole purpose. At this company was to write customer case studies and success stories so she agreed to work with us for a short time while she was in between jobs and. Interview our customers and get some testimonials for so the first one she did was about a three-page document was like a success story I would call it for one of our companies that manages associations. [1:44] What I really liked about the work she produced was she was really really good at getting the customer to open up. On all the buying reasons that they purchase from us. She’s also really good at getting to the meat of the problem of why they left their previous provider. [2:06] Let me just give you a couple excerpts from the. Success story that she wrote part of choosing picks the customer work with another service to provider to manage its it operations. help that’s response time was slow and that was impacting customer product I’m sorry employee productivity and customer satisfaction and they lack the commitment the customer wanted in a partner. [2:35] Here’s a quote from the customer directly we will with them for several years but we just weren’t seeing the initiative or the leadership around either improving our infrastructure or just maintaining it explains the customer. [2:50] It was a lot of talk and not a lot of movement is the moral of the story is there is your customers are paying attention when you tell them you’re going to do something you should do it whether that’s Network admin or. Vcio type Services Technical Services if you’re selling a flat fee service and you’re only providing help desk. [3:08] You’re not really giving the customer the value they’re expecting it anyway to take away from that one do what you say you’re going to do and too. Get somebody to collect testimonials and case studies for you there’s so much stuff in here that will be able to use over the years tweetable quotes quotes for the website full-blown case study referral. As well as we have a great customer who now feels like they’re in green and our service offering so. If I can help you at all with that please shoot me a line at Terry at the it provider network.com and I’ll be sure to share with you whatever I can. way back in probably two thousand and eight or nine but it was the setup all our social media accounts and you can do this. You’re probably already have this for your own company but you can certainly do this for customers as well we have this setup as a project plan template in our connectwise system and we use it. the original project plan was put together by a gentleman by the name of Chris Chase and Chris is from. Directive it I believe they’re out of New York he’s the maker of the gym connect plug in. and basically it’s a project plan and the project plan helps you with. Everything you need to get Facebook Twitter and Linkedin YouTube and Google Plus setup now course you can modify this for the current social media networks that your customers are using but they’re the Big E’s anyway. Eddie talks about things like creating your your Facebook image getting the correct proportion getting the correct resolution Twitter image LinkedIn company logo YouTube picture. Your Google+ picture it talks about. [5:21] No continuity and naming the accounts and naming the social media handle so that you’re always the same. Your moniker on each one of these. Network so example I’m Terry Rossi on all the social networks and I’m also it provider net on. a standardized on the shorter name for all the networks for consistency the talks about things like that then it walks you through the actual process of uploading the picture grading a thumbnail. Putting some default information at your about us page excetera speaking of about us pages I just actually read it great. on your website so I encourage you to check that out I’ll put that in the show notes at the it provider network.com / 5. [6:44] Go back to the ultimate social media rig once you get your pictures created your accounts created it talks about the process of going through and making sure you get it the full set of followers and basically just setting up all those accounts. What I would encourage you to do if you use some sort of PSA or password management tool get all that documented in the password management tool so that you or the or the employee in your company doing social media can. [7:12] Maintain the accounts posted them upload them you’re also need it when you set up some the tools were going to talk about. A little later on in the show for monitoring publishing and republishing content to that so that’s this is the ultimate social media rig by Chris chase at directive it and I’ll put the link to that in the show notes. [7:34] So now let’s talk about the tools that I used to manage our social media platforms after they’ve been set up and on and on going basis. So there’s basically three tools I want to talk about that I use the first as HootSuite. The second social jukebox and the third is manageflitter and they’re all slightly different tools and I use them for different purposes to let star with HootSuite. HootSuite and there is a competitive product that they’re called buffer and not that familiar with it because I don’t use it they are social media platform management tools. HootSuite allows you to manage your Twitter Facebook LinkedIn and Pinterest content. It enables you to post content right from the single dashboard to one or more of these social networks it allows you to schedule content to be posted. 20 more of these social networks and it also has a built-in URL shortener so if you use bit ly or another URL shortener HootSuite has that built right in and you can like right as you’re doing your post. and then I’ll have Mike different company pages and I have one for the MSP business I haven’t you know I have more than one for the MSP business have one on each Social Network I won for the. [9:11] Podcast I want for the other business that I have you know so there’s. Different networks that I have on one actually for the yacht club that I’m involved in that I do some social media for them. So there’s different network there and you can assign different teams of people to each of those networks so my website and social media for the MSP business is. Partially maintained by Pronto if you don’t know who Pronto is there a.
MSP marketing service that specializes in managed service providers they do really good websites with ongoing content. all the content changes you want all the new pages excetera they also have a bunch of ancillary services that they do one of which is a social media service so they will post on our behalf to our social media accounts. Every other day forever basically and they use HootSuite to do that so I gave them a user account in HootSuite. They post their stuff up in the schedule. Then I can look at it review it or just know that it’s out there I can see the post that are going to happen over the next week we can have really great for that when you’re collaborating with it a third-party HootSuite for allowing that to happen. [10:35] The other thing that you can do which is really nice although some people recommend against it I think there’s a time and a place for it sometimes as you can cross-post so you can make one post. Open e on post editor and then you can just click off the various social networks that you want to post really easy to do it’s actually really easy to do it separately if you want to change the message slightly for the Social Network you on but really easy to do. follow you so if you followed them and now they followed you great great tool for managing all of your social media. It really is the home base for me and you’ll see a lot of venture capitalist and start-up companies you always see HootSuite dashboard up on someone’s death so that’s kind of neat. you can create a jukebox and a jukebox is a series of posts that you want to repost over a period of time. [12:11] This is especially useful for Twitter if you’ve ever you know spend any time on Twitter you know the content last for a second you know it’s basically there and then the next minute you look in there as you know huh more post that are new. [12:25] It’s not practical to create content for Twitter that’s only going to be used for five seconds so what you do with social jukebox as you take that Evergreen blog post of that blood quotes that still has content. Any might come up with 10 or 15 headlines for that stick it in a jukebox and social jukebox along with. 1015 headlines for 10 or 15 more Bob post now all the sudden you got a pool of a hundred or hundred and fifty blog post. That you can post to Twitter. Periodically throughout the day throughout the week excetera you can schedule these two boxes to be published daily. Weekly hourly every hour every hour between 8 and 5 you know pretty much all the flexibility you would need you can also have multiple jukeboxes. That are publishing content to the same social media Network so for example. I have my blog posts cubox that I use on Twitter and I published just a few times a day. the second thing you do that another jukebox to it and I had for example on Mondays I had a motivational Monday jukebox and they’re just quotes from different leaders. [13:56] Not publish at every Monday with a hashtag of motivational Monday the neat part about those types of jukeboxes on chill should you boxes they have a collection of them. There are probably 50 or 60 different shoe boxes that you can add to your particular account and use as your own contact. Show you the number of people that have already done that and other words how many times that you boxes shared so you can pick one this not maybe not so widely used. And then you add that to your account and all Sun boom you got another hundred different post you can post Without Really any effort on your part. [14:33] So II tool social jukebox really good tool for republishing content on Facebook Twitter and Linkedin. [14:44] The third tool I want to talk about. It’s called managed flitter and manage Twitter and don’t worry I’ll put links to these on the show notes at the it provider network.com / 5.
so let me give you an example of how I use it one thing you can do with manageflitter is copy the followers. by putting the Philadelphia business journal’s Twitter handle in the manage flitter or able to just instantly copy all their followers and start following them so right away we know exactly who to follow that might be. Candidates for our products or Services great great feature. It also allows us to easily follow back anyone that’s followed us so if we get followed by someone we can easily follow them back. [16:19] You can also look at the people that you followed that haven’t followed you back and maybe you want to trim them off your list so maybe you found a bunch of people. You want to give them 30 days and if they don’t follow you back in 30 days then you went on follow so you can do all that kind of audience manager of audience management stuff in manageflitter. [16:42] Another great feature manageflitter as you can see the best time to post. Based on your audience so manage flitter will track the times that your audience is online and basically give you a time frame and when you should post they call this the power post feature really really neat feature really powerful. You can also store and and fill to your Audience by keywords followers the age of the account the location. Much much more you can get rid of for example users that have no profile picture on Twitter. Chances are that this fan more a young neglected account and get rid of users who haven’t posted in some. Of time so that’s also helpful their dead accounts typically abandon accounts so many litter. Those three tools HootSuite for complete platform management watching all my feeds watching what’s happening on Twitter Facebook LinkedIn and Pinterest. As well as scheduling posts and posting them working with teams hootsweets a great tool for that social jukebox for republishing content. Taking a blog post at Evergreen or taking of a Twitter post or a Facebook post at Evergreen. without any Interruption great great tool social jukebox and lastly manageflitter for audience management manage flitter allows me to easily follow and build my Twitter Audience by copying the followers. [18:16] From another account following people when they follow me back tracking who unfollowed me and showing me inactive. so that’s what I wanted to share with you today I hope you found this information useful. [18:41] As you know I’m just starting out with this podcast and I’m really really looking for your feedback and suggestions right me directly at Terry at it provider network.com. Or stop by the website and sign up for our newsletter not really publishing much content onto the newsletter yet. But I plan on doing that shortly so get signed up you’ll be in on the ground floor you won’t miss a thing. Thanks again for joining me and have yourself a great day.